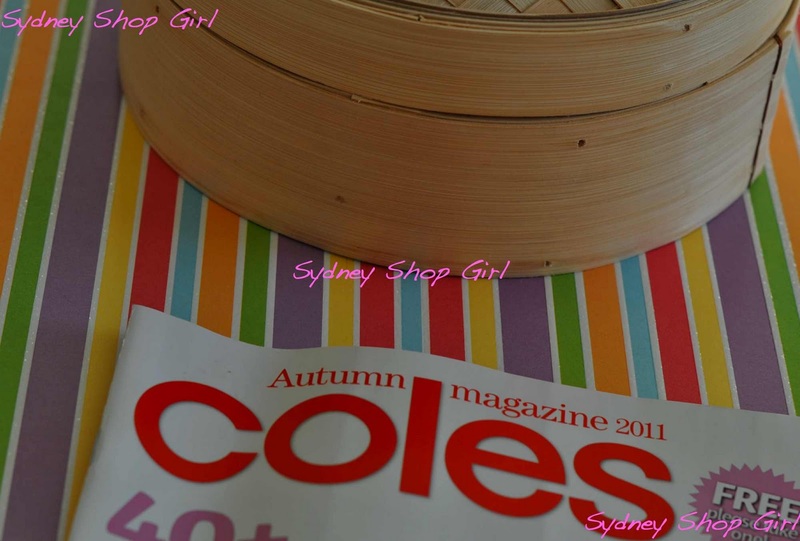 Sydney Shop Girl: The Colours of MaltEaster. KFC Does Man-Time and I Want In. The Colours of MaltEaster. KFC Does Man-Time and I Want In. It's the last week of daylight saving in New South Wales and I, for one, think it's about time. The mornings are getting darker and colder making the drive to work an eerie head light lit journey through shadowy streets. Very symbolic image there, what with our getting a new State Government and the discovery of billions of dollars of debt from the outgoing government that we never knew we had (the debt, not the government). Then we lost this country's most successful (and temperamental) Australian cricket team captain. That contemporary cricket reference was for you, Mr SSG. The dark also makes me feel cold. Which explains why I was dressed for work today in this sturdy wool blend ensemble. The first sweater of autumn / winter 2011. Red sweater - Kookai, black tank - Cotton On, trousers - Banana Republic, belt - Gucci, necklaces - Audrey and Coco Black from Red Phoenix Emporium. It was all for a good cause though, because my red themed outfit co-ordinated rather nicely with this little critter whom we all met at SSG Manor earlier this month. That's right, MaltEaster bunnies are officially an It Food item. 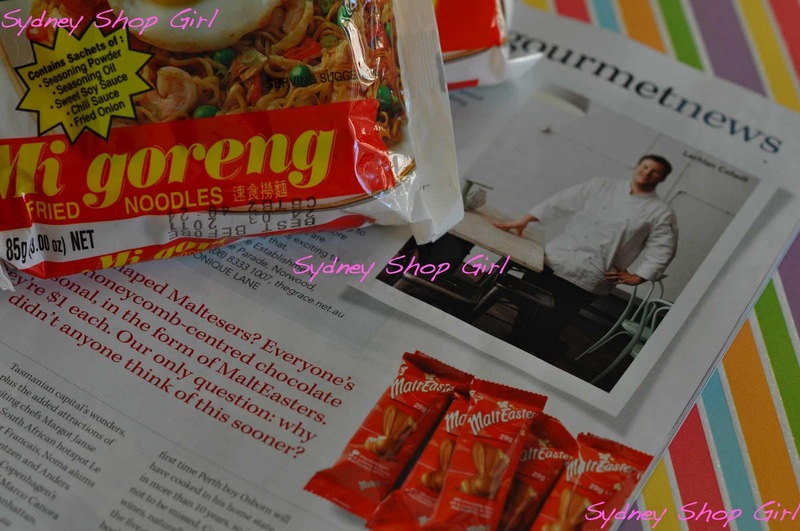 They were glowingly reviewed in this month's Australian Gourmet Traveller. As was the latest Nespresso machine called the Pixie because it's so tiny and comes in some amazingly bright colours. But that's another story I'm not really meant to go into at any point in the near future. As gourmet as it gets at SSG Manor. It's nice, every once in a while, to be ahead of the curve in culinary matters. It makes up for all the times that I'm not. As is the case for tonight's dinner. I'm going for tried, tested and simple. 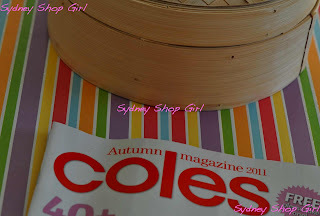 We will be getting in that once a week dinner of fish with the steamed fish using a recipe from this month's Coles Magazine. Which is 'real world' cooking to AGT's 'high art and intensely worded recipes' approach. The fish will be served with some Mi Goreng because we haven't had noodles for carbs in a while at SSG Manor. I don't feel so bad about building a weeknight dinner around instant noodles because look what's hitting the KFCs of our shores as of tomorrow. The KFC double down bunless burger for man-time. I didn't actually make that sentence up, it's part of KFC's advertising campaign. This photo is from the American campaign, it's going to be called The Double in Australia. The burger was brought to Australia on the strength of a Facebook fan page, so the rumour goes. All the advertising is billing this as a 'teenage male' food yet I find myself strangely drawn to it, in theory at least. It's so wrong yet so right. Deep fried chicken fillets, cheese, bacon and mayo. I was so tempted to pull up at one of the many KFCs that mark my drive home from work and shake down the store for a test burger. I was dressed in the team colours as well. I could have slipped into the kitchen and made my own. Unfortunately, duty called. I got my phone for work today and it is a Nokia and I had to learn how to use it. I had forgotten how user hostile they are. I don't know if I'll be able to revert to a non touch screen phone. It's a big ask. I STILL havent' tried a Malteser bunny, fool, fool, fool I am. Will rectify this error in my ways STAT. I had to use a Nokia 3210 (circa 2000) the other day. So difficult. I need to try the bunny. The Malteaster bunny is my favourite Easter food so far. Delicious! I might have to stock up now they have been in AGT. They'll be a sought after foodstuff shortly and in high demand. The KFC burger scares me. Mostly because of how much I think I want to eat it.... But I think one bite would be more than enough. Your fab clobber reminds me I have yet to do a post on my stylish work get up. Will rectify asap. I've never seen a bunny like that. I'm intrigued. And that outfit is adorable, I'm wearing a close cousin of it today. But blue. The double-down as far as I'm concerned is a disaster. Like fast-food isn't already bad enough, they had to turn up the fat? Shame on you KFC, shame! Your outfit looks cozy and warm...remember to keep your neck warm SSG too. THat KFC sandwich looks positively atrocious...do report back if you succumb to one! It's just the fast food version of chicken cordon bleu: friend chicken - check; cheese - check; white cream-based sauce - substituted with mayo; ham - sub'ed with bacon. Love the work outfit. Am not so sure about the KFC burger (or the outgoing NSW state government for that matter). Made your KFC recipe a few nights ago. Now that was a real winner and much lower in fat. We just started DST here, which means that I'm struggling even more than usual to get out of bed in the morning! After all it's an hour earlier and haven't adjusted yet. You look great in that outfit! 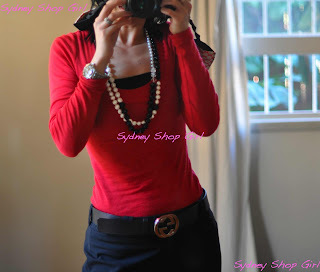 I'm working on injecting more colour in my wardrobe for spring. Have a nice day! Sigh. I couldn't stop thinking about the KFC bunless burger all through yoga tonight. I think everyone needs to stock up on the MaltEaster bunnies before they sell out or get shrunk down or worse get sold with missing body parts.... They are made by Nestle after all. Infamous for their yoghurt downsize deceit. I love the outfit you have on in that picture! Wish I could see more of it!! That KFC "thing" > all I can see is a big glob of fat and cholesterol. sorry!! If you get one - I hope you enjoy it! 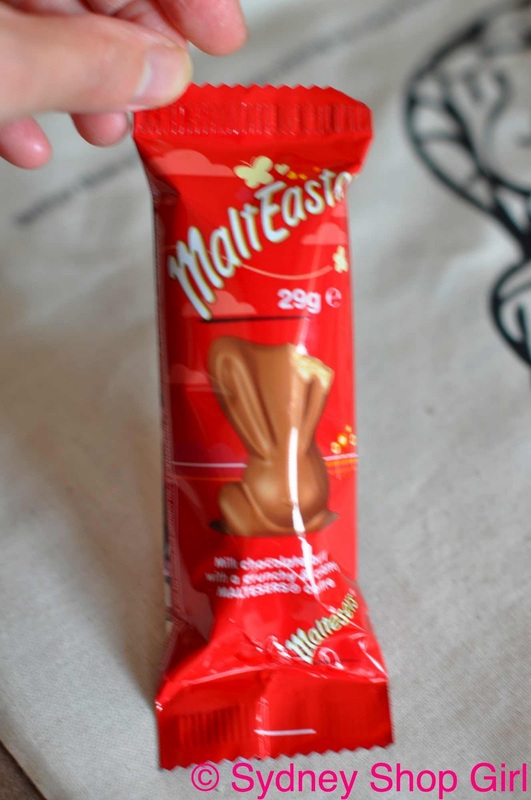 The MaltEaster bunnies are so yummy!